Куда это это нужно добавить в IntelliJ IDEA? P.S. This forum is intended for international communication, so, use english please. Thanks. I'll try to do so. Then I pressed Finish button but my Android project's lib folder is empty is it normal? Are there any exceptions at idea.log (main menu | help | reveal log)? Yes, it's normal. 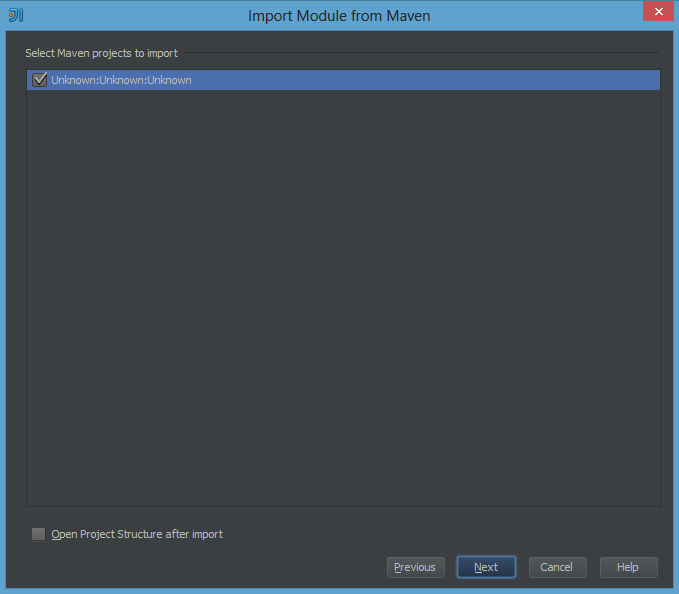 You should not store library jars inside the project if you use maven. 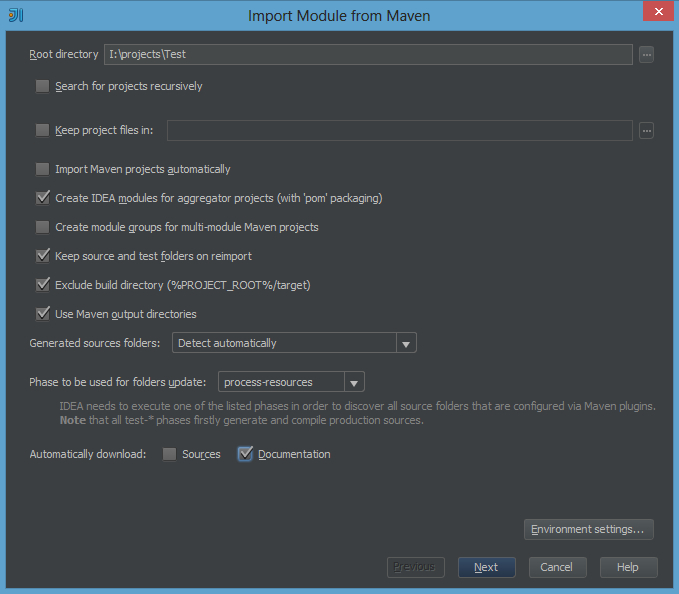 Maven downloads libraries to local repository. 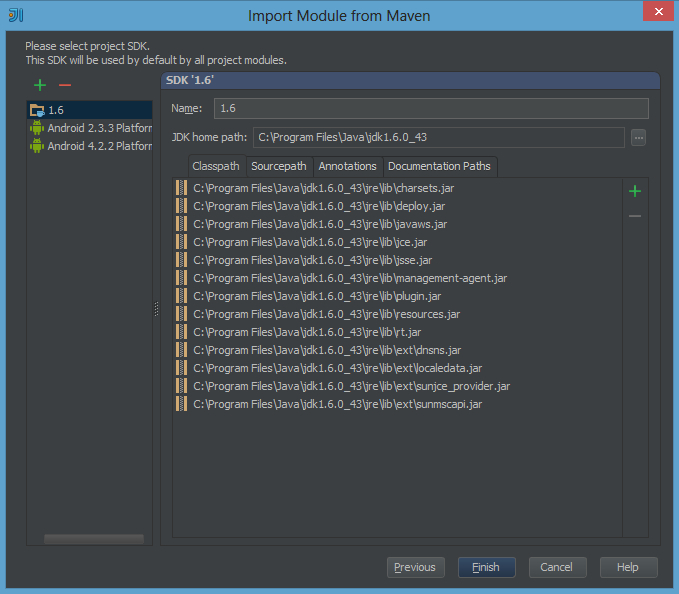 After changing pom.xml you have to call Reimport All Maven projects action on Maven Tool windows. Я знаю как jar библиотеки подключать но хотел научиться делать это через Maven многие говорят что так проще и нахваливают IntelliJ IDEA якобы там это просто делается. Я пока лично не понял преимуществ IntelliJ IDEA 12 перед Android Developer Tools при разработке под Android пока пытаюсь освоиться и вижу только минусы по сравнению с Android Developer Tools. files, this currently can not be accomplished any other way. The same for Holoeverywhere too! 2013-04-11 20:06:42,920 [ 41802] INFO - .history.utils.LocalHistoryLog - Local history storage successfully closed. 2013-04-11 20:06:42,925 [ 41807] WARN - api.vfs.impl.local.FileWatcher - Watcher terminated. 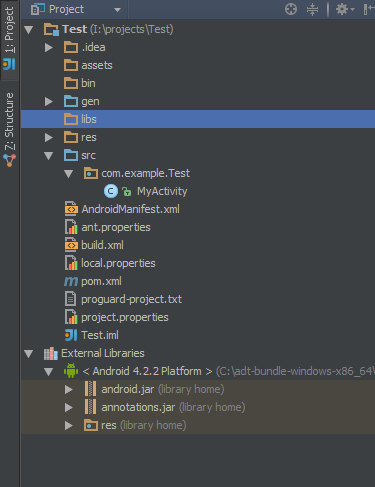 By the way main menu | help | show log in explorer (IntelliJ IDEA 12.1.1). or he is also wrote proper pom.xml? Всем большое спасибо за помощь особенно Eugene Kudelevsky. Сначала мои впечатления об IntelliJ IDEA были только отрицательные (это не из-за Maven) а сейчас немного поработав и изучив горячие клавиши и остальные плюшки мне понравилось!